Like in a number of countries, in Armenia as well, the available quantity of samples is strictly limited. 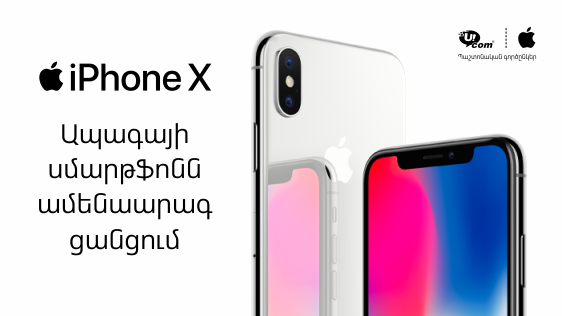 The latest word of the technological world, the iPhone X, is possible to acquire in its cosmic gray and silver colors, by paying the full cost of the smartphone. Let us remind, that for any Apple product obtained from Ucom there is a one-year official warranty.